When you write a space opera series, one of the core features is a broad variety of worlds visited. From the Empire of Star Wars to the Federation and its neighbors to Neal Asher’s Polity Series, even when a story takes place on a single world, it has to be one of many. I started the Compact Universe by writing The Children of Amargosa, but I’ve fleshed it out beyond the titular Amargosa. It’s already established that it’s a colony of Mars. Ironic because Amargosa is very Earthlike, and its residents refer to Martians as dome dwellers. But there’s more. There are two types of worlds in the Compact Universe: Core worlds and colonies. Core worlds are the established worlds. A prime example is, of course, Earth, the ultimate core world. Like The Expanse, which I admit has a lot of parallels to this series, Mars is also an established world. But there are others sprinkled throughout. Metis – This world is not one of the wealthiest, but it is implied to be matriarchal. All the senior officials we see are female, and Colonel Jovann hails from Metis. Natives of this world tend to have a lilt in their accents, implied to sound Celtic. Tian – Tian is a near twin to Earth, depicted is slightly larger with a moon the size of Mercury. It’s also the wealthiest of the so-called Big Five core worlds (the others being Earth, Mars, Etrusca, and The Caliphate.) JT Austin wants to go here, as does Davra Andraste. Admiral Burke’s command is here, and Suicide is a native. Ares – A cool desert and a less-hostile version of Mars. It neighbors Tian. Colonel Kray is from here. Brewing beer is a common occupation. Demeter – Cold, Earthlike world so named because it occupies the same space in Tian’s system as Ceres around Sol. Admiral Quentin Austin is from here. Zeus – It’d be an analog to Jupiter in Tian’s star system, except that it’s the one with the elaborate ring system. A gas giant, it’s home to a major Compact Naval yard. Aphrodite – Yeah, it’d be swampy Venus in Tian’s system, except that it’s been in a state of perpetual civil war. Suicide was a mercenary for multiple factions on this planet. Clear skies are a rarity. It has a tiny asteroid of a moon. The Jovian Federation – The third of three core worlds orbiting Sol. It consists of all the outer planets and Sol’s asteroid belt. There are two secret Naval facilities here, one of which orbits moon of Neptune. It is also home to a maximum security prison on Io, where several characters in Amargosa: Second Wave did time after the Polygamy Wars. 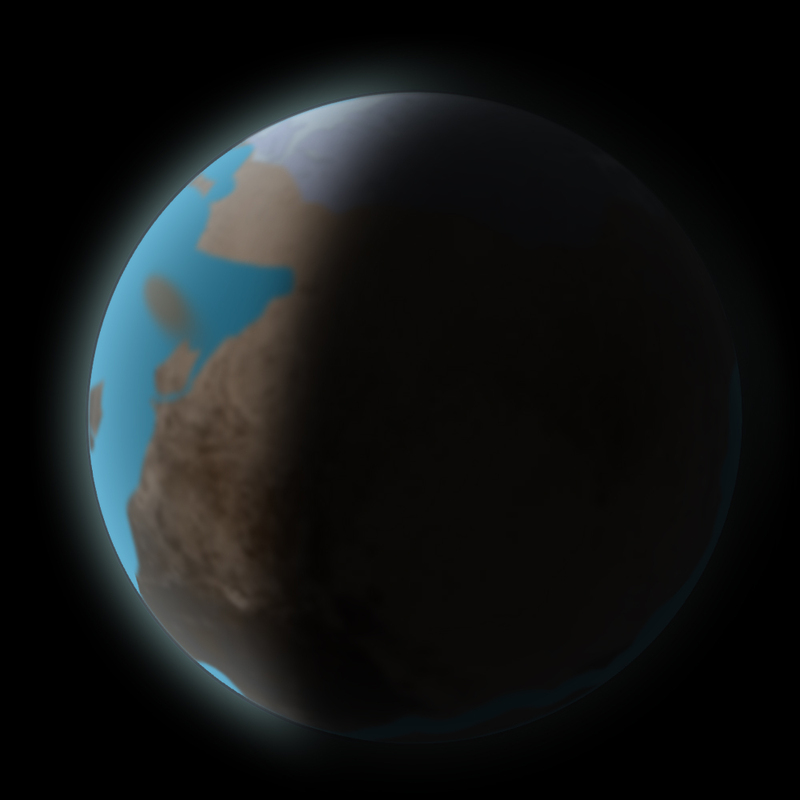 Jefivah – Humanity’s oldest interstellar world. Development is stymied by an unstable climate (Think winter coming like on Game of Thrones.) It is Douglas Best’s homeworld. It is also home to a cult to Marilyn Monroe. The Caliphate – Nominally an Islamic republic, it’s actually a rather progressive democracy. Its capital is Rashidun, which has a huge replica of the Burj Khalifa that is almost a city unto itself. Sarai is a native, and both Douglas Best and Quentin Austin visit Juno Corp in the Burj Rashidun. Etrusca – One of the Big Five core worlds. It has patterned its culture after the Roman Empire. JT Austin’s mother and Tol Germanicus are from here. Bromdar – I call this one the Blade Runner world, imagining it to be a dark, smelly incarnation of Ridley Scott’s Los Angeles, only planet-wide. Natives and residents tend to have guttural accents and Germanic or Slavic-sounding names. It’s an industrial world taking its cues from Coruscant and Asimov’s Trantor. Austin is hit by a ground vehicle here. Davra Andraste lived here for a time when her mother was an engineer. Liz Havak, the first officer of the Challenger is a native. Bonatparte – One of the few places in the Compact with a monarchy. The throne passes between ten royal houses from seven of Earth’s eight continents. Currently, Japan’s Yamato family holds the throne. The heir apparent is of the House of Windsor. Ironically, the Bonaparte family is nowhere in evidence on this world. John Farno hails from this world. Belsham – A nominally libertarian world, Douglas Best moves here for a time, hoping for a quiet life away from government service and the problems it has caused him. Though not stated directly, Rafe attends university here in Headspace. Originally a colony of another core world, Walton, Belsham took its parent world’s place when Walton became one of the few core worlds to collapse. Deseret – Originally a Mormon colony dominated by the original church, it nonetheless has accepted the polygamy practiced by other sects. However, one of its colonies practiced a radical form its adherents based on the teachings of Warren Jeffs, resulting in the Polygamy Wars. Dakota – Settled by North American tribes, the Sioux and Cherokee are dominant ethnic groups here. More on Dakota as No Marigolds in the Promised Land progresses. Trantor – Named for the world from Asimov’s Foundation series, Trantor is the sole Earth-like world orbiting Nemesis, a red dwarf near Sol that also traces its name back to Asimov. Elieen Burke is a native. Marilyn, Gallifrey, and Barritaria – Jefivah’s first ever colonies. Marilyn, a desert world, is dominated by the Marilynist cult. Gallifrey and Barritaria derive their names from “old literary references,” the former from a time-traveling crackpot (I should really name its governor Malcolm Tucker), the latter from Don Quixote. Mars – The Citizens Republic of Mars, a socialist world obsessed with its own wealth and one of the Big Five. Amargosa and Barsoom are colonies of Mars, and many resent the amount of power Mars wields on the Security Council. Earth – Cradle of humanity and birthplace of JT Austin. Most on other worlds think it a cesspool but are surprised to see that its actually worthy of being the capital of the Compact, which is actually a microcity in Hong Kong Harbor called Quantonesia. Nonetheless, resentful colonists refer to Earth forces as “blue helmets,” a reference to UN peacekeepers.